This is a legally licensed rental in the Village of Islamorada license # vr 131 The entire condo has been updated Summer sea condominium located at 88500 oversea's highway in the Village of Islamorada. Is the perfect setting for fun filled family vacations, romantic getaways or for snowbirds in search of a winter haven. You are surrounded by clean comfortable and relaxing accommodations, offered at very reasonable rates. These are the main reason our clientele have increased especially our family of returning guests. When you vacation at our condominium you'll understand why... Whether you're preference is excitement, relaxation, fishing, diving or something in between... Islamorada in the Florida Keys has plenty to offer.The Islamorada area offers a variety of activities. Fishing and diving are what Islamorada is most famous for. The different types of fish that can be caught here is unmatched any place else in the United States; Off-shore sailfish, marlin, cobia , dolphin, grouper several varieties of snapper and many more species. On the flats bonefish, tarpon, permit and snook can be taken, Or you can dive or snorkel the only living coral reef in the continental United States. PLEASE CHECK OUR CALENDER FOR AVAILABILITY. Our family vacationed in Isla Morada several times in the late 90's It took four years for a 2 bedroom to come on the market at summersea well worth the wait.Great place to vacation great restaurants,fishing,people and weather .What more can you ask for.Having rented condo's in the past we pride in keeping our place clean comfortable and well stocked. The people in Isla Morada made up our minds prior to investing here we met some of the nicest people that sealed the deal.We started looking for a place that had all the things that we needed in our vacation home. (Summer Sea) was it. We are close to the fishing,diving ,Great restaurants and watering holes.The sunsets from the dock and summer point are awesum.Our condo is only a few steps from all that Summer sea has to offer. Sit out on our beach and take in the awesum sunsets. plenty of linens towels extra pillows everything is well stocked our cleaning team states we are the best stocked unit in the building. Plenty of parking in the marked parking spaces.The covered parking under the building is reserved for the penthouse owners. A fairly well stocked exercise room is on site. we try to keep the basic condomints in the fridge. There is usually coffee left and sugar and flour etc. on hand. plenty of dish's,cups glasses,knives,forks etc. more than enough for 6 people. Well stocked with all the the items you should need for your stay. A game room for the children is of the lobby. Two pool tables are available for the adults. You may bring Kayaks or Canoes.Please ask about the details. No boats or Trailers are allowed on the condo property. We enjoyed our stay at Carl’s condo. It had everything we needed, plus more, to make our vacation in the Keys enjoyable. The kitchen was well stocked, so we could easily cook our meals there. Carl was easy to communicate with. We came down for the week of July 4th and it was awesome. We have vacationed at almost every beach in Florida and this is our favorite. The condo is beautiful and perfect for our family. The view is breathtaking and the atmosphere is so relaxing. We have family and friends that live nearby and would love to eventually retire here. Carl is super helpful and so awesome to work with. We will definitely be back. John ,so glad your stay was good.Be happy for you to come and stay with us again.Thanks so much for the wonderful review. This was our second time staying at Summer Seas, first time at Mr. Blasko’s place. His apt is upgraded and beautiful. We were really happy with our stay. He place is well stocked with all the essentials we needed for the week. He was very responsive to all emails, calls and text messages. We would definitely stay here again. We had no trouble with payments, keys or anything. This is the second time we have stayed at this condo and we will definitely be back!!! The condo is great it has beautiful granite and tile thoroughout!! 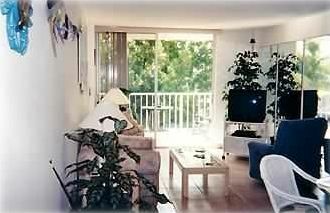 The condo is very well equipped and has everything you need for your vacation. The building and pool are also great and the resident in the buidling are very friendly. The location is perfect as it is close to everything you need. Fishing, swimming, and paddle boarding in Islamorada the best vacation you could have. Carl is such a pleasure to deal with!!!! We will definitely be back hopefully next year! My husband and myself loved this condo. It had everything you could ever need, or want, and then some. It has very clean and well decorated rooms. The whole gated compound was wonderful with a beautiful view of the sundown. The pool was warm and awesome!! When we come back we will stay here again!! Carl was great and always replied quickly to any questions we had about the condo. This was our second time staying here. The condo is nice and clean and not to mention well stocked. We don't plan on staying anywhere else as long as we're visiting the Keys! Carl is such a great guy to deal with and so helpful! Can't wait to go back! Swim with Dolphins,at Theater of the sea, Glass bottom boat ride at John Pennecamp park,Memorable sunsets from our dock or beach area,Great dining,Great fishing & diving.Visit the wild bird center see the local wildlife.Visit Robbie's and hand feed 100 + lb tarpon. 12.5% tax on all rentals and a $85 cleaning fee Sat. to Sat.stay is preferred other arraingements can be made. Dec 1 till sept 1 ...... $900/week .. $3000/month Sept 1 till Dec 1 ...... $700/week .. $2400/month Seasonal rental please call for info. (Islamorada Lic. # VR-12-131) PLEASE NOTE IF YOU RENT IN THE VILLAGE OF ISLA MORADA FOR LESS THAN 28 DAYS THE RENTAL MUST BE LICENSED OR YOU COULD BE EVICTED.